Landscape Services Kamloops | Request a Quote | Pronto Enterprises Ltd. 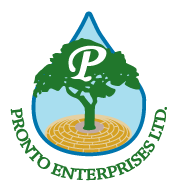 If you are looking to hire a landscaping team in Kamloops, call the experts with over 30 years of experience at Pronto Enterprises. We provide a full range of services, including retaining wall installation, landscape maintenance and design, hydroseeding and more. Give us a call for more information. You can also use the form on this page to send us an email requesting a quote and we'll get back to you as soon as possible.